Point of arrival & Departure: Kochi (COK) / Thiruvananthapuram (TRV), India. As you sail through observe the dense coconut plantations, below sea level paddy fields, Inland Water Islands, Tiny Hamlets, Narrow Canals & Rivers, Ancient Churches, 18th Century Buddha Statue, Antique Mansions Coir Making and Chinese fishing nets. Houseboat’s Bedrooms are with attached bath & toilets (European style), Living area with front view, Sun-bathing bed, Well-built kitchen. Electric fan and Light facilities, Air conditioners, Designed Furniture, Clean environment with a hygienic storage hold, Free from insects and safe fuel storage facilities, 3 well experienced crew members, using good quality Linen, Toiletries, Crockery and Glassware. Tourist records are updated regularly and having safety equipments like Life buoys, Life Jackets & Fire extinguishers. Cruise starts with a welcome drink on embarkation. You cross Punnamada Lake to reach the venue of the famous Nehru Trophy Boat Race. Reach Vembanad Lake. Anchor for lunch. Cruise continues to Pathiramanal Island a home to many rare varieties of migratory birds from all over the world. Anchor for the night by 6 PM. After breakfast sail to visit Thaneermukkam salt barrier. Cruise to Kumarakom through Vechoor Lake taking note of the Chinese fishing nets. 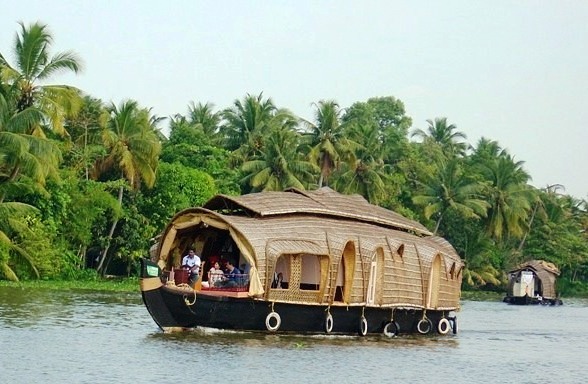 After lunch visit Kumarakom Bird Sanctuary & spend the night on board. After breakfast the boat takes you to Kuttanad. After lunch visit paddy fields where paddy is cultivated below sea level, village walk in the evening, anchor for the night. After breakfast ride the waters to reach Chavara Bhavan, 500 year old wooden house of blessed Kuriakose Elias, visit local markets. Have lunch in the houseboat. 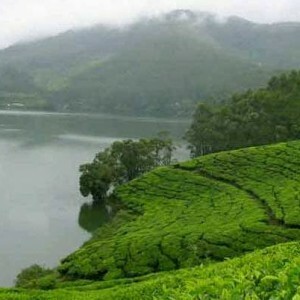 Cruise through small canals to reach Champakulam. Anchor for the night. After breakfast visit 500 year old church with mural paintings and take a close look at the famous snake boats. 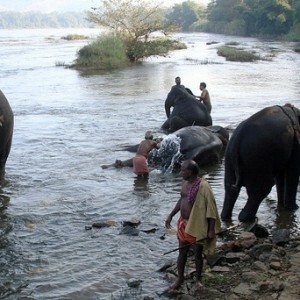 After lunch visit temple, experience the local life of people along the banks of backwaters. 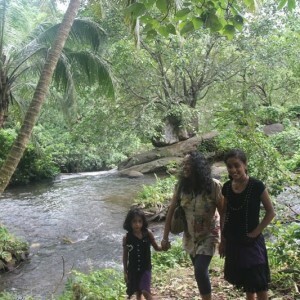 Journey through small canals to reach Karuvatta kayal for overnight stay. After breakfast the houseboat sets off to the famous Mannarasala snake temple. Then have lunch & sail to Ayiramthengu to visit coir making unit. Evening visit Amrithanandamayi Ashram. Overnight stay onboard there. Enjoy breakfast as you cruise to the disembarkation point. Board in to your car at Alumkadavu (Kollam) to your onward destination with the everlasting memories of the most enchanting holidays of a lifetime.